ROGER is a rare operational survivor of the many wooden motorised narrow boats once trading on the canals. She underwent major conservation work in the 1990s, during which time she was returned to her build specification, painted in original livery. 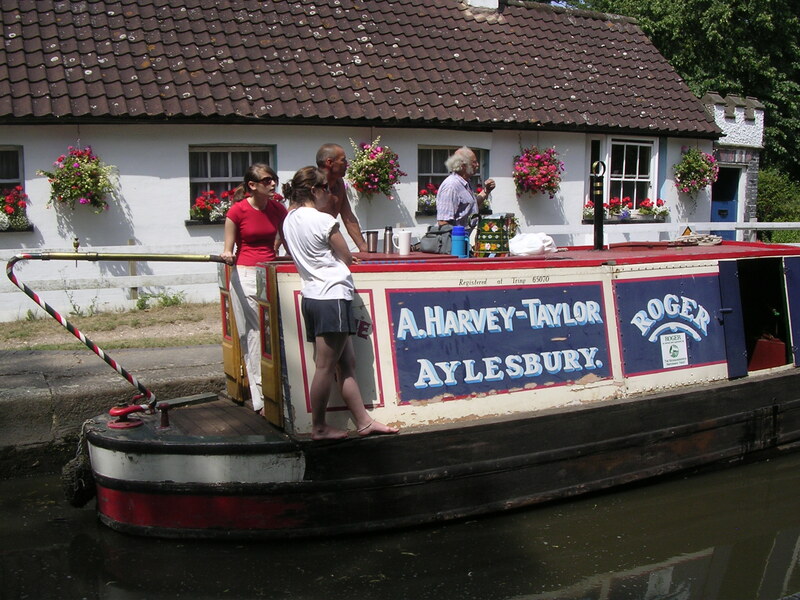 ROGER was built in 1936 for the Aylesbury coal merchant and canal carrier Arthur Harvey-Taylor by the Bushell Brothers – an influential yard which trained a number of prominent craftsmen and was noted for the high standards of its decorative paintwork and construction. She has a long historical association with her captain Arthur Bray and his wife Rose, who managed the vessel from 1941 to 1968 through several fleet changes. ROGER was originally paired with butty DAPHNE, but was re-partnered with RAYMOND in 1958 (also now on the National Register of Historic Vessels). She was the last wooden motor boat trading on the Grand Union Canal. ROGER was built as a cargo vessel to transport coal, towing an unmotorised butty. Her functional design ably fitted her to operate as one of the industrial workhorses of her era. Source: Hannah Cunliffe, Policy & Project Manager, National Historic Ships, July 2011. 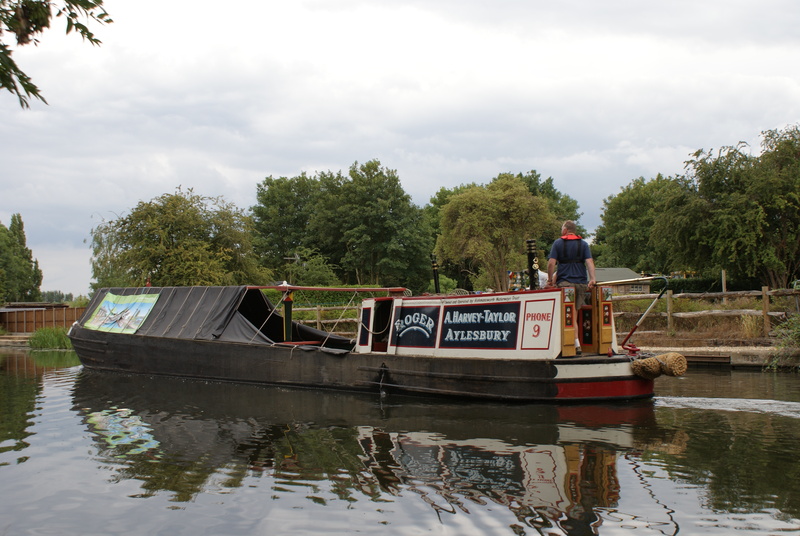 ROGER was built by Bushell Brothers at their yard on the Wendover Arm near Tring late in 1935, for the Aylesbury coal merchant and canal carrier Arthur Harvey-Taylor. She entered service in Feb 1936. ROGER was paired with the butty DAPHNE and captained by Arthur Bray with his wife Rose and her son Ernie Kendall, from 1941. This continued during the decline of the Harvey Taylor fleet during the 1940s and 50s, with the ROGER and DAPHNE carrying the last load for Harvey-Taylor, coal from Baddesley Colliery to the Croxley paper mill, in April 1955. They then passed to the Samuel Barlow Coal Company, where DAPHNE, built in 1930, was replaced by the brand-new RAYMOND, the last wooden working boat built in England, in 1958. ROGER and RAYMOND went in 1962 to Blue Line when they took over the Barlows canal carrying, and continued, carrying mainly coal under the captaincy of the Brays, until 1968, when Roger was replaced by the steel motor boat NUTFIELD and paid off to be converted for residential use. 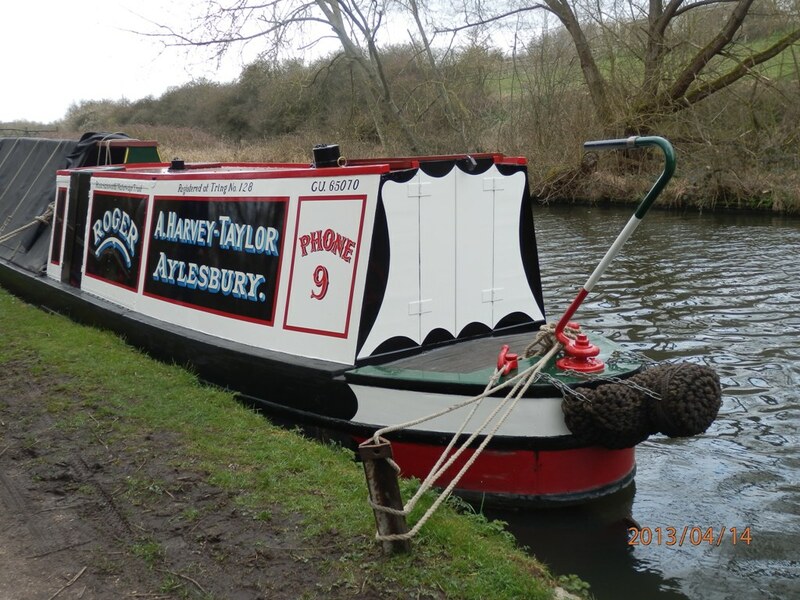 ROGER's last major outing was in 1986, to recover the derelict Ovaltine boat ALBERT for restoration. 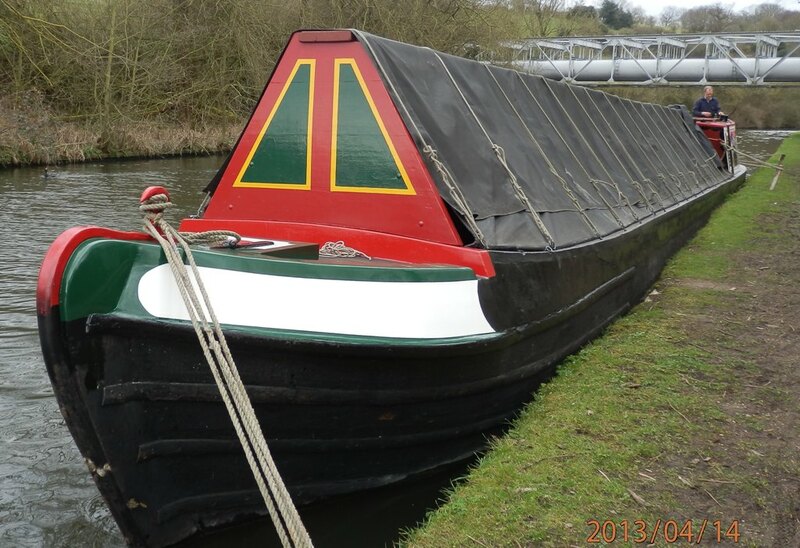 She was then left in poor repair in Maple Cross basin, and nothing further was done to her until 1992, when her then owner, Tim Woodbridge, and colleagues in the newly-formed Rickmansworth Waterways Trust began to consider options for her. This period may now be seen as the Evaluation phase, from 1992 to 1993. It was decided, in view of her material state and historic significance, to attempt a restoration, and a period of stabilisation, to buy time, commenced when she was lifted onto the bank at Batchworth in 1993. During this time the planning and fund-raising effort allowed a clear understanding of the boat, and agreement (notably with the HLF and other authorities) that ROGER did indeed merit conservation. It was decided that the correct Conservation Gateway, as it can now be termed, was Conservation for Operational Use: the “Fabric” route would not result in a satisfactory outcome, and indeed there was nowhere to display the fabric of such a large item except afloat. It was decided that sufficient material remained to allow templates to be taken good enough to result in the reconstruction of a truly “Bushells” boat, with important elements available for re-use. In any case, her significance depended not only on her structure, but on her crew to an important degree, and on her role in the post-war canal carrying period. It was therefore assessed that her significance was not seriously put at risk by the conservation process, and it was agreed to continue. The conservation method “reconstruction” was nonetheless clearly indicated, and it was decided to return 'ROGER' to the as-built state. This required the cabin, fitted while in service by the Nurser’s boatyard after her acquisition by the Samuel Barlow Coal Company in 1956, to be returned to the original style, and dictated that the livery would be that of her original owner, Harvey Taylor, and not of either of the later owners Samuel Barlow or Blue Line. But it was also clear that very little adaptation for modern requirements would be required: the Boat Safety Scheme was (and is) relatively undemanding if there is neither gas nor electricity, and neither was planned to be installed. Annex B lists the adaptations required. The Reconstruction began during 1997 once funding from HLF had been secured, and continued until May 2000. The work was done in the open air at Batchworth by the craftsman Chris Collins, and is captured in a photographic record mainly by Doug Bail. 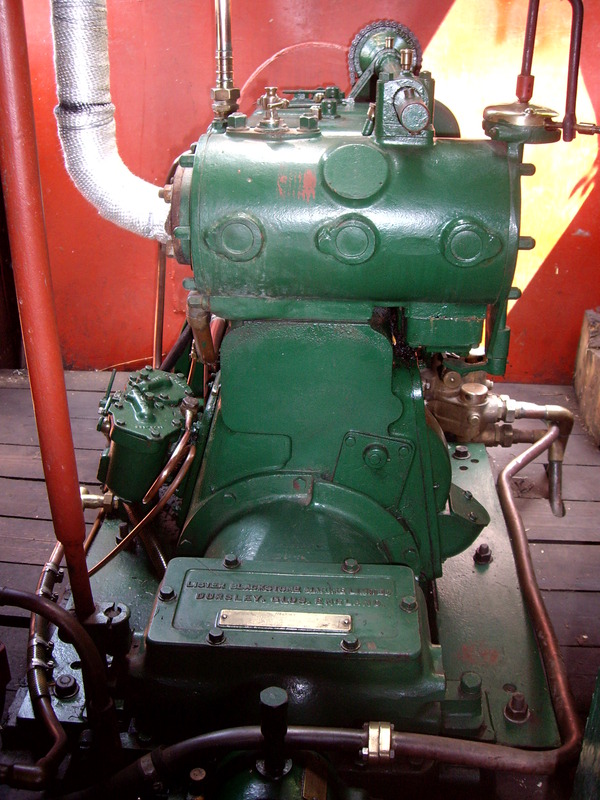 All the timber and some of the iron and steel components (notably the fastenings) were replaced, and the engine (see below) rebuilt. Great care was taken to ensure that this was a “reconstruction” and not a “replication”. Each plank was replaced in situ, with its template carefully taken first; so there is considerable confidence that the present boat is indeed linked to the original by an unbroken history. ROGER was re launched by crane in May 2000, and fitting out was completed by May the following year. This completed the Reconstruction phase; the effort since than has been put into conservation, maintenance and operation as part of RWT’s education programmes.